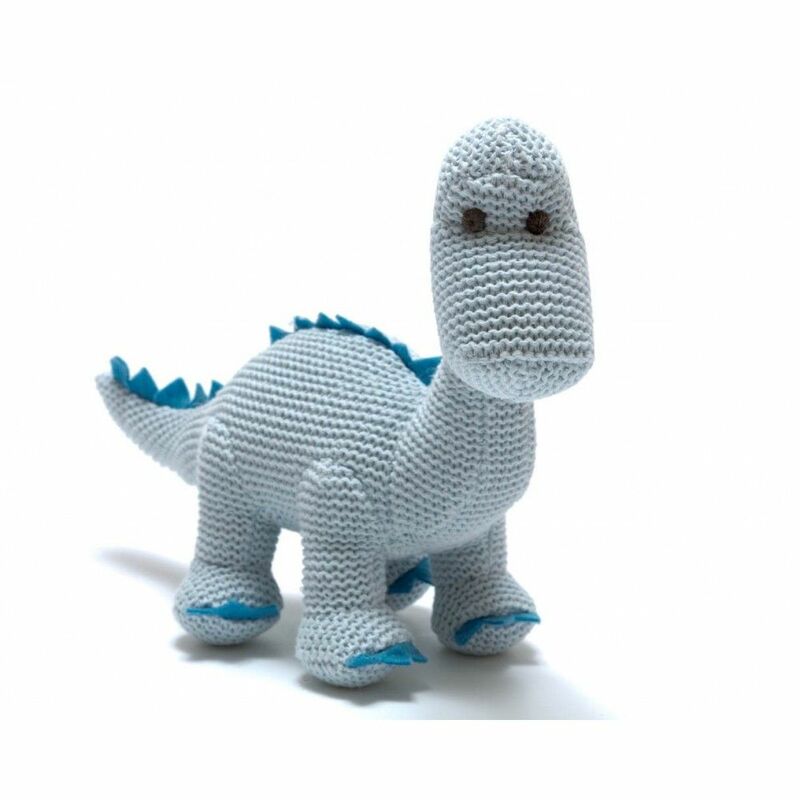 Tactile sweet blue diplodocus dinosaur with a soft rattle. A great baby gift for young babies. Baby Diplodocus were born from eggs laid in underground nests to protect them. 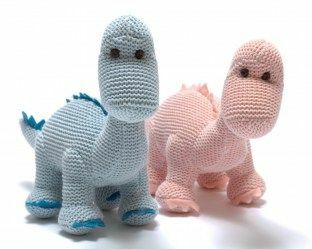 We don't know what they looked like when they hatched but we don't think that you could get Dinosaur toys much sweeter than our organic diplodocus blue baby rattle.